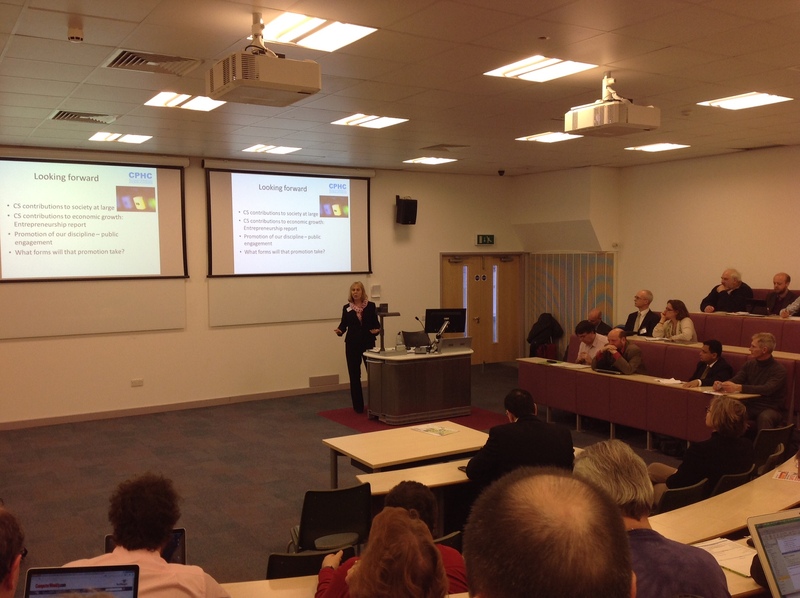 New CPHC Chair, Sally Smith (Edinburgh Napier) outlined her views of the opportunities and challenges for the future of UK Computing HE at the 2014 Annual CPHC Conference at Loughborough University this week. Her presentation: Looking Inward; Looking Outward; Looking Forward is now available. In it, Sally introduced delegates to their new committee members and discussed some of the issues that have been occupying CPHC over the past year and those that will be of concern in the future. This entry was posted in General and tagged the Council of Professors and Heads of Computing, the University of Loughborough by Vic Grout. Bookmark the permalink.